Join Ananda Expeditions for a 7-day/7-night yoga adventure in Tuscany. Enjoy twice daily daily Vinyasa yoga practices (all-levels), adventurous hiking and sightseeing excursions led by local guides, an array of culinary and cultural experiences, and ample time for relaxing or exploring the area on your own. In addition to its picturesque locale in the hills above Lucca, the villa boasts comfortable lodging and common spaces in four beautifully-renovated buildings, an outdoor salt-water pool, and delicious meals of farm-to-table vegetarian Tuscan cuisine — complete with local olive oil and wine. We have access to a fully-equipped yoga studio, as well as multiple outdoor spaces should we prefer to practice overlooking the valley below. During the week, we'll practice daily, explore the walled city of Lucca by bike with a local guide, walk to a neighboring winery for a tour and tasting, learn how to cook traditional Tuscan dishes from Maria Angela, and take a day-trip to the breathtaking beaches and cliff-side villages of Cinque Terre. You can also opt in for additional outings — including an evening out at the opera in Lucca, an excursion to the artists' community of Pietrasanta, and/or massage treatments on-site. This is your chance to take your practice abroad and treat yourself to the active vacation you've been craving! Depart, if you're flying from North America (or elsewhere outside Europe), for the overnight flight to Italy. 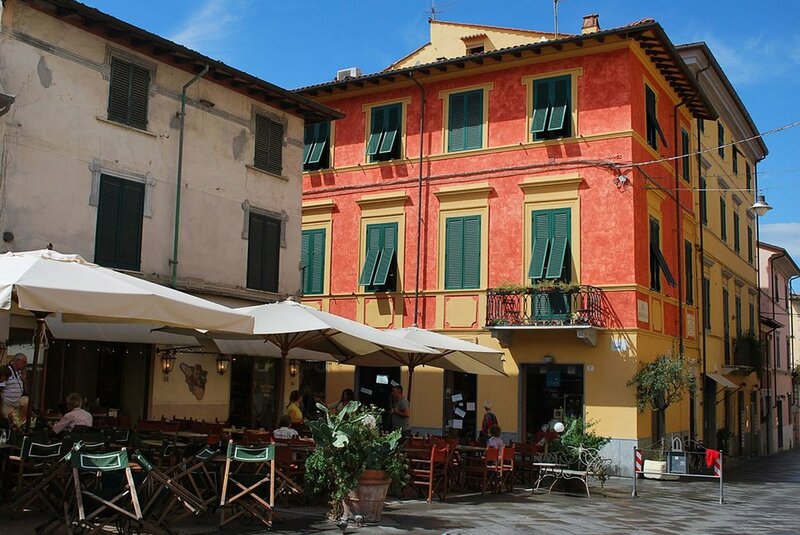 Plan to arrive at the Lucca train station to catch the group transfer to the villa, or make your own way. Check-in at the villa at 4 PM. Settle into your room, then unwind with a relaxed, grounding yoga practice. Enjoy your first farm-to-table vegetarian meal, complete with local olive oil and wine, before retiring for a good night's sleep. Enjoy a slightly earlier, farewell breakfast. We'll check out at 9:30 AM. Then, join the group transfer back to central Lucca, or continue on your own way.